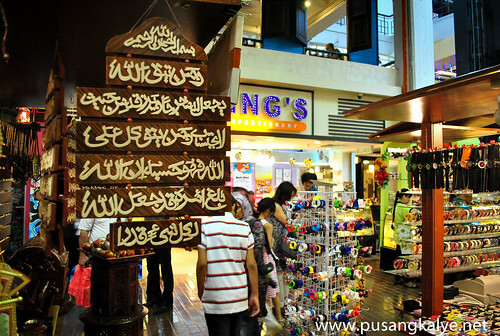 I was so close but I didn't know.I didn't realize that the national Mosque is walking distance away from the Central Market of Kuala Lumpur's Chinatown.It was one of the places I missed last time. 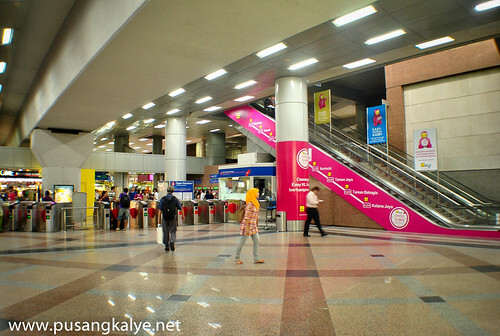 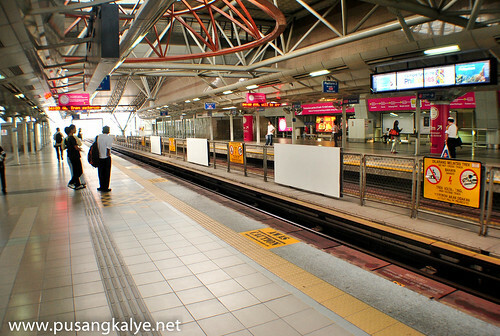 From the Central Terminal,we transferred to Kelan Jaya Line and went to PASAR SENI which is the next terminal after Central Station.Central Market is just a few meters away from the station. 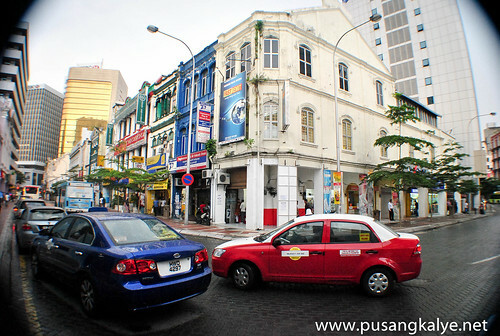 The prominence of the Blue Facade of this market greeted us,along with the howling of many crows adorning the trees in front of the market. 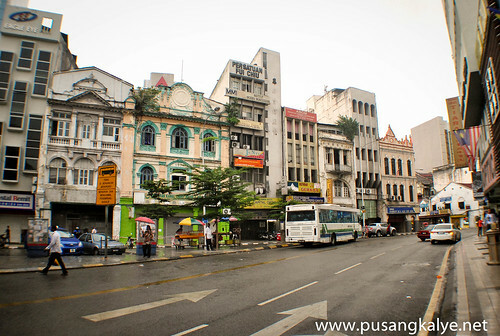 I immediately noticed the old colonial buildings next to it and the street shops awash with tourists and local shoppers inside the market and the nearby KASTURI WALK. 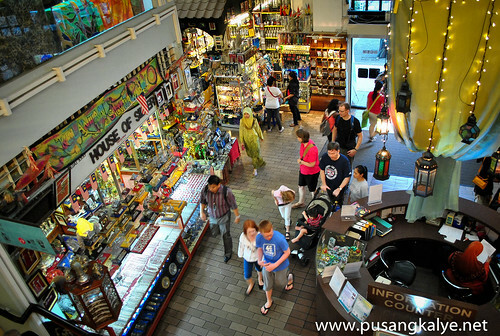 "Central Market was initially a gambling premise belonging to Yap Ah Loy.Sir Franklin Swettenham described it as a very insecure shed and wished to have it rebuilt.Yap Ah Loy rebuild the market with brick pillars and galvanised iron roof.The new structure was completed in 1883.It went into four expansions from 1888 to 1933. 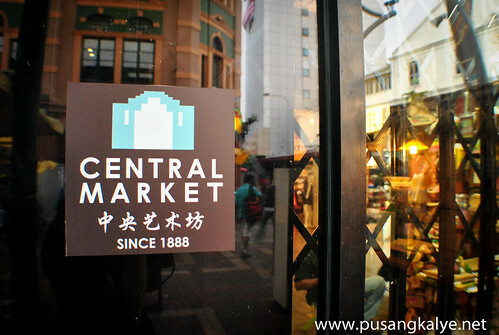 Central Market boasts distinguidhed features of 1930's Art Deco Style buildings.It reopened in 1986 after extensive refurbishment and now houses over 228 unique shops.It has become the largest Malaysian Arts and Craft Center." 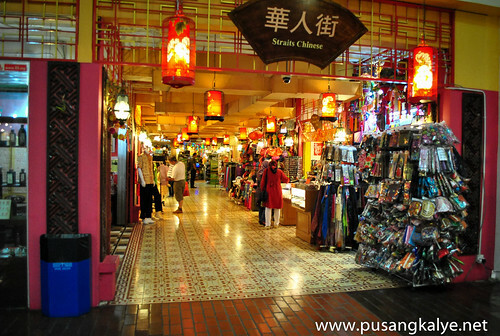 With our stomachs full,we were again charged to go around and look for some good finds.My wife already had a lot in her mind as to what to buy but I reminded her to better not give in to the temptation and save the small amount we have with us in case some unexpected expenses come up. 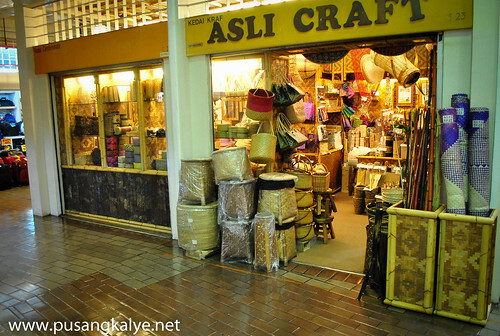 She settled for two shoals at RM15 each and a few souvenirs and pasalubong for her co-workers in school and a few friends. 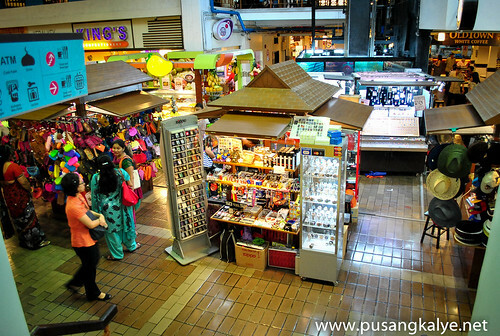 Noticed that the price inside the market are slightly higher than the ones outside (As expected of course).But one can't blame the many people who buy stuff inside as I noticed that the goods for sale are of really prime quality plus the shops are neatly kept. 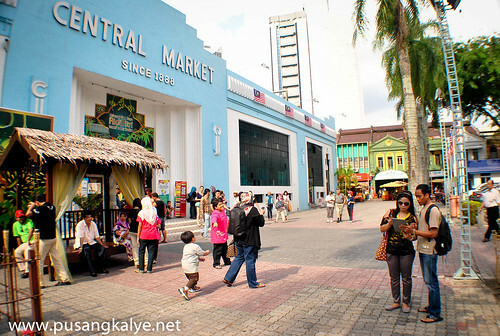 There is an information center upon entrance to the Central Market where one could ask directions and get unlimited tourist brochures.The lady who was on duty that day was a little unfriendly when I asked her a few things.She seemed irritated and sarcastic when she answered back.We'll,might be having a hard day. 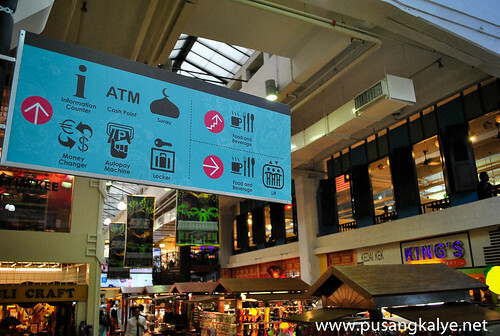 It was at the Central Market where I found a Money Changer with slightly higher rate,at least compared to airport rates.2,000php here equals RM172 compared to RM146 at the airport. 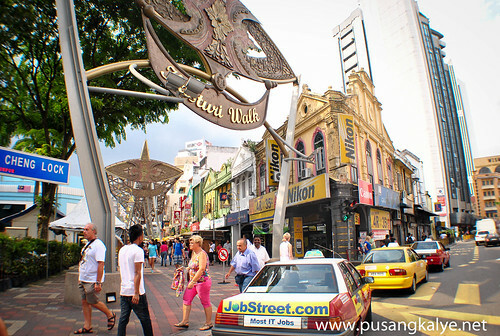 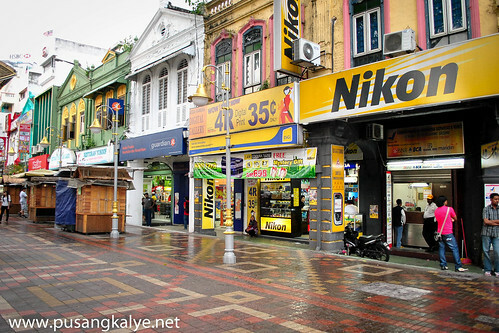 After eating lunch,buying souvenir and exchanging local notes,my wife and I went outside for more sightseeing.It started to drizzle that time but it didn't stop us from walking around until we reached Jalan Petaling which will be the subject of another blog entry. 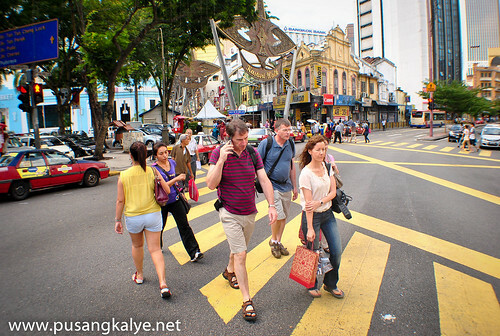 Malaysia2.0 Series is indeed heating up!! 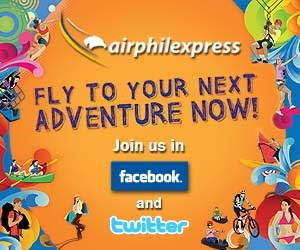 !Watch out for more updates.Cheers!